Over the past several months, we have been taking a closer look at Multi-Fiber MPO connectors and how the continued growth of this technology is changing the dynamic for contractors. As data centers are rapidly scaling up their networks to support 40G and 100G speeds, multi-fiber MPO connectors are being used throughout the network architectures. From QSFP ports on servers and switches to patch cords, patch panels and backbone links, MPO connections are everywhere. In a previous blog, I covered the Top 3 Testing Challenges with Multi-Fiber MPO Connectors and how these challenges connect back to the equipment that technicians are using. Most contractors own fiber test equipment that have either LC or SC ports on them. While it is possible to use this equipment for testing networks with MPO connections, the process is complex and time-consuming. The recent release of new purpose-built MPO test solutions has become a game changer for many contractors. Tools like the MPOLx Optical Loss Test Set and the FiberChek Sidewinder give them the ability to efficiently install and test MPO networks. Many contractors see these tools as a major advantage and opportunity to develop their business. From a business perspective, the return on investment is overwhelmingly positive. With tools that are purpose-built for testing MPO, technicians can streamline their test workflows to reduce test time by up to 80%. In addition to time savings, the test process is greatly simplified, as technicians are no longer forced to deal with the complexities of breakout cables and the added steps involved when referencing and testing with devices that were built for single or duplex fiber connections. All of this translates into reduced project costs that impact the bottom line. Furthermore, these contractors are building a strong reputation for their ability to install and test 40/100G networks. 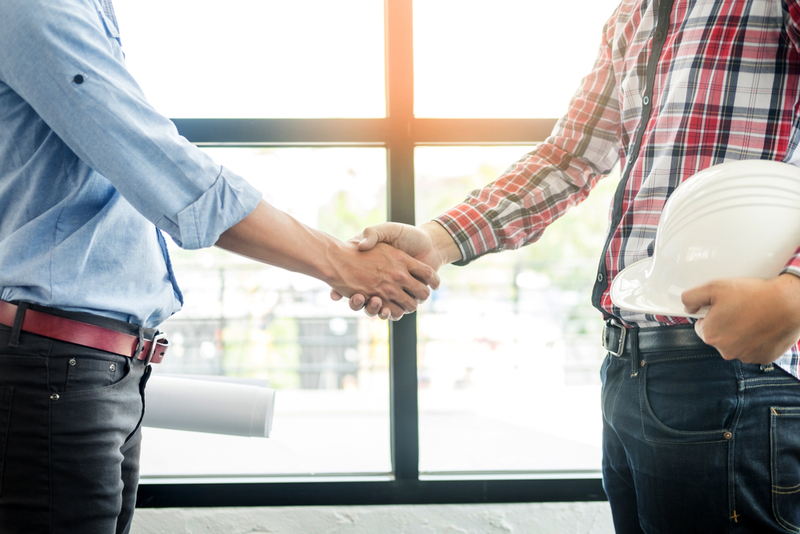 By investing in these new tools, contractors are winning more jobs with bigger customers and growing their overall business. 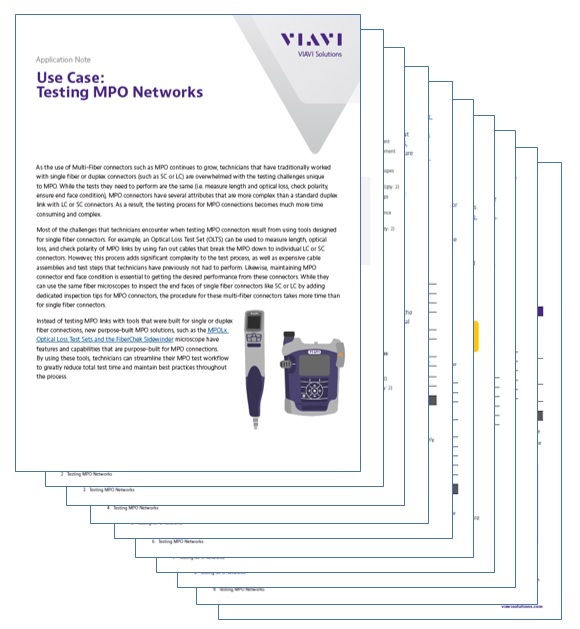 Learn more: For further insight on how the purpose-built MPO test solutions from VIAVI can streamline test procedures, be sure to read our Use Case: Testing MPO Networks. This application note provides a common MPO test scenario for a mid-size project and compares critical steps in legacy versus new procedures. We encourage you to compare this scenario with projects that you have done or are looking to win this year and discover what many of your competitors have already realized.